Potato Bread on its 2nd rise-looking plump and airy. Last week I wrote about an Oooey Gooey Bread but I hadn't made the bread yet. After making it I had a revelation...I should generally test drive the recipes before sharing. Brilliant, I know. The bread was good but it didn't rise as much as I expected. The recipe did make three loaves and I did share the love. I took one to church and they ate the whole thing. I took one to school and they ate the whole thing. I have half a loaf still on my counter that we are whittling away at. I enjoyed rolling out the dough and folding it but when I got to throwing down all that sugar into the middle I couldn't do it. I changed it up, adding the cinnamon and brown sugar but just a little cane sugar. This sugar mix worked for me. The cinnamon was intensely wonderful. I was only disappointed in the rise. I love to watch the rise and this one didn't do that-it was flat. I'd love feedback on this if anyone has any clues. In last week's post I mentioned another potato bread recipe (from Barefoot Kitchen Witch) I was going to try and that one gave a good rise as well as a great kneading experience. I even got my KitchenAid out with the dough hook (first time I used the dough hook) because her photos and commentary told me this would be good. I generally just mix it myself with a wooden spoon or my hands but I liked watching it come together with the dough hook so I might be a new convert. I don't get my Kitchen Aid out much because it's heavy and in a tight cupboard space. This bread looked beautiful in the two different rising stages but once I put it in the pan it didn't rise over the top as much as I expected. I don't know if it is the yeast or the cold, but my bread is not becoming airy and light, but dense is okay as long as the taste is good. I toasted two slices for breakfast and it was yummy. I plan to try this recipe again. I made this Baked Penne with Broccoli and Smoked Mozzarrella from Mel's Kitchen Cafe for dinner last night. It was good but my kids didn't like it. I left the chicken out and it tasted great (the smoked mozzarella was amazing) for my husband and I. My kids are really in a disappointing eating phase. They eat tofu, endamame, sushi, Thai food but I make a simple baked pasta dish and they squirm. They do not like things mixed up so much. Groovy Girl separated the broccoli from the penne pasta. It is so disconcerting. Hmmm. First loaf out of the oven and ready to toast. 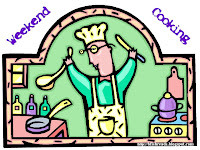 Hope your cooking up something good. 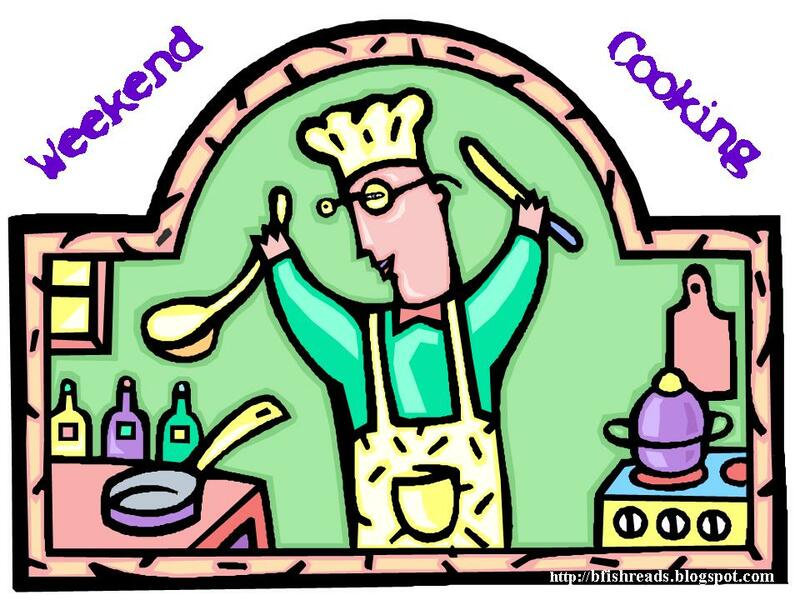 Weekend cooking is hosted by Beth Fish Reads-click on her name to see her reviews of several story book inspired cookbooks. I would love the Mary Poppins Cook Book.